A birthday present. 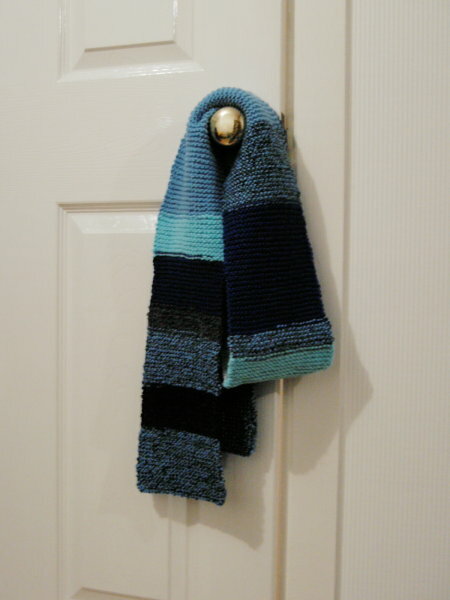 The third scarf in a set of three, for three sisters. The other two scarves were pink and purple.